Rubenerd: BREAKING: Terrifying police scope–creep spam! BREAKING: Terrifying police scope–creep spam! Hey, I could work at Buzzfeed. Today's fun spam message comes from the Australian Federal Police, some of whom are pictured below. At this stage, the alarm bells are already going off. And not the kind that indicate an intrusion into a building, or someone tripping and touching your car while the rest of us are trying to sleep at 3am. Yeah, neighbour with the cliché Commodore ute down the street, we're talking about you. To see more details you should look at your current encroachment information. notice your driving violation Payment must be made within 10 day time in the time frame involving support of the infraction info or your reminder info. You may sign up for the extendable to pay the actual violation info charges, or contest this the liability, within just twenty-eight days. It is self produced message, you are free to delist from mailinglist. Leave aside the unsurprisingly–bad grammar, punctuation, capitalisation, and likely use of American dates. Ignore the fact I don't even drive, or own, a car. Minor details in the grand scheme of things, really. What's abundantly clear is not only are the Australian Federal Police transmitting infringement notices in unencrypted electronic letters, but that they've subsumed the state police and its responsibilities. This is a clear and present threat to the sovereignty of the grand state of New South Wales, headed by a Governer representing Her Majesty Queen Elizabeth II in some far–off island. And to think Texans were scared! 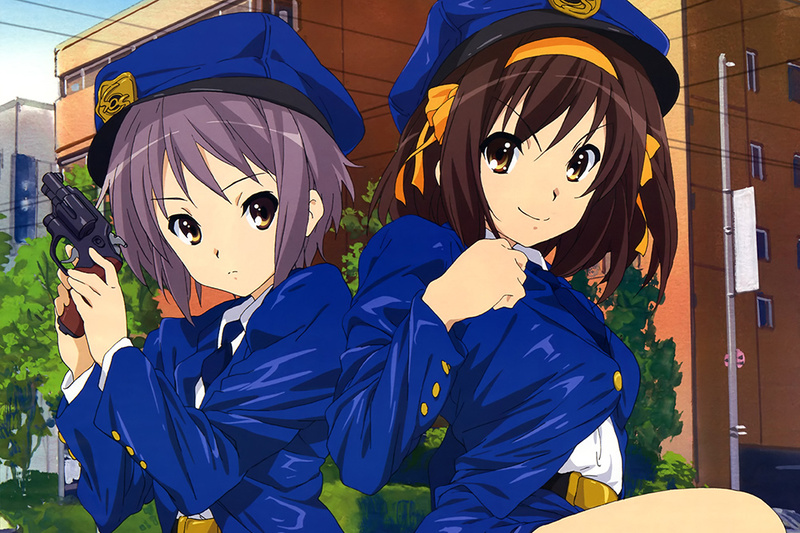 I've been informed the above pictured officers are, in fact, members of the SOS Brigade (© 2006 Kyoto Animation), and are not, in fact, Australian Federal Police officers. Phooey, in fact.